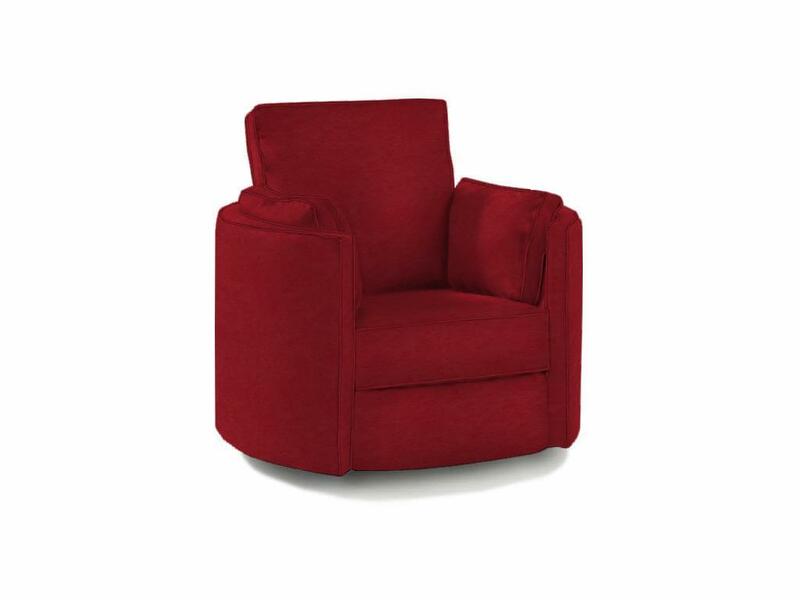 This transitional swivel reclining chair is a quick and easy update to your home. With a swivel base you can move side to side effortlessly making sure you always have the best view. The unique round shape of this chair makes it an addition to your home that is unlike any other. This chair is wrapped in welt cord trim for a clean look. Create a comfortable place to sit back and relax while showing off your unique style with this reclining swivel chair. The Ryder Transitional Reclining Swivel Chair by Klaussner at Miskelly Furniture in the Jackson, Pearl, Madison, Ridgeland, Flowood Mississippi area. Product availability may vary. Contact us for the most current availability on this product. Arm Rounded track arms with welt trim. Base Description Hidden swivel base. Browse other items in the Ryder collection from Miskelly Furniture in the Jackson, Pearl, Madison, Ridgeland, Flowood Mississippi area.